I have accepted a call to become Interim Rector of Christ Church Cranbrook in Bloomfield Hills, Michigan. Gay and I will be moving there during the week of October 15 and our first experiences of worship with the parish will be during the weekend of October 20 and 21. Take a look at the video to get an idea of Christ Church Cranbrook. 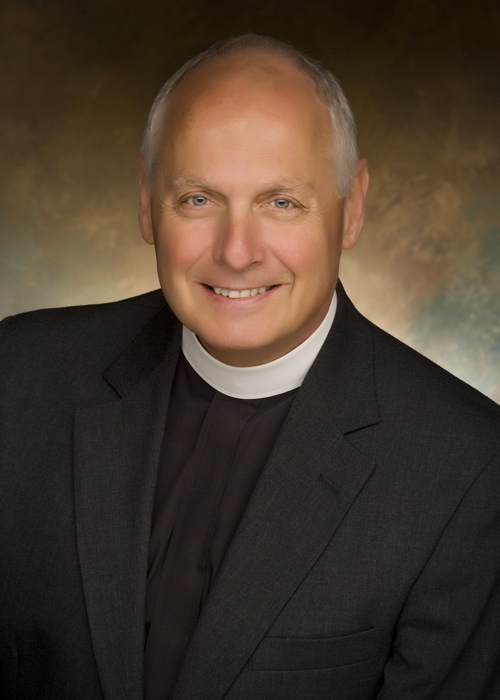 The opening for intentional interim ministry at Christ Church Cranbrook follows the departure of The Reverend Canon Gary Hall, who has been called to be Dean of the Washington National Cathedral. Gary has had a wonderful ministry at Christ Church Cranbrook and we uphold him and Kathy in our prayers as they begin a new adventure at the “flagship” Cathedral of the Episcopal Church. Here is an article Gary recently wrote for the Washington Post. As you can see from the website and video, Christ Church Cranbrook is a vibrant parish with a rich liturgical and musical life, a heart for outreach in the region, and a strong Christian formation ministry for all ages. Located in the Episcopal Diocese of Michigan, it is the largest Episcopal Church in the state. Bishop Wendell N. Gibbs, Jr. and Canon Lisa Gray have been very helpful to the vestry and to us in the process leading to this new interim relationship. The vestry estimates that it will take approximately one year to call a new Rector. During this time of transition, Gay and I are confident we will come to love the people there as we have those in Texas, Kansas, and Kentucky. For us, meeting new people, exploring new territories, and experiencing new cultural distinctions is a fringe benefit of intentional interim ministry. Calvary Church in Ashland, Kentucky has called a wonderful new Rector, The Reverend Antoinette “TJ” Azar. She will arrive in Ashland to begin her ministry with them in early November. I am quite proud of the devoted work of the nominating committee and vestry in calling her as the new leader of this parish. I predict that their ministry together in Ashland and the surrounding region will be fruitful in many ways - new ways, powerful ways, transforming ways! We are very grateful for our time at Calvary and for the new friends we have found there. Prior to our time in Ashland, our experience with The Church of the Good Shepherd was filled with good things and good people. We are also grateful for the opportunity to work with Bishop Stacy Sauls and Bishop Chilton Knudsen, Dr. Kay Collier-McLaughlin, diocesan staff, clergy, and people of the Diocese of Lexington. What a wonderful two years this has been here in the Bluegrass and Eastern Kentucky. During our time at Christ Church Cranbrook, we will be living in the rectory. Our new mailing address will be 415 Church Road, Bloomfield Hills, Michigan 48304-3401. Our mobile numbers, social media, and email addressses will not change. We ask that you keep us in your prayers as we prepare for this move. And keep an eye on e-piphanies.com, my facebook page, and Gay’s facebook page for regular reports on our life in Michigan. When you see the Light, head toward it! It was one of the darker nights of the year and I was driving along a road in deep East Texas. The road was one with which I was unfamiliar and full of curves and bends and hills. At about the time I became aware that I had missed a turn somewhere and was headed in the wrong direction, I discovered that I was very low on gasoline. I had gone to far to turn back, but I was frightened to drive on because my engine might stop on that dark and lonely road any moment. I decided to drive on and search for some sign of civilization where there might be fuel and someone to point me in the right direction. The more I drove, the more concerned I became. Just when I thought my engine was about out of fumes, I saw the glowing red light of an airplane beacon atop some structure in the distance. I felt certain it must be in or near a town with a filling station. If I could get there, I could fill my car with fuel, seek directions, and head on with confidence toward my destination. As I followed the beacon, I came to a road I recognized and managed to coast the last few hundred feet to a gas pump. I filled the tank and I got directions so that I could complete my journey in safety and in peace. If you've ever experienced something like this, you surely understand how out of control my anxiety was that night. And, you also understand what a welcome sight that beacon was, with its promise of fuel and guidance. Whenever something like this happens in the course of living - when we are alone, lost, and almost out of resources - we feel frightened, apprehensive, and alone. But then, on the distant horizon there is the bright beacon of God's love, the light of God's grace, the glow of God's promise. We see it through the darkness and our faith draws us forward to a place of peace and security. John 3:16-17 speaks to us of that beacon of Love Divine. "For God so loved the world that he gave his only Son, so that everyone who believes in him may not perish but may have eternal life. Indeed, God did not send the Son into the world to condemn the world, but in order that the world might be saved through him." The Word Made Flesh is for us and with us, wherever we may be! When the night is dark, when the road is scary and unfamiliar, and when you are running on fumes, look for the Light. Turn to him. Trust his good news to be truly good for you. Let him help you find your way forward as you continue the journey in peace, knowing that you are completely secure in God's immeasurable love! May God continue the good work begun in you! My service as Rector in the Interim at the Church of the Good Shepherd is drawing to a close. I will begin a new interim assignment at Calvary Church in Ashland, Kentucky on Shrove Tuesday. You are preparing to welcome your new spiritual leader, The Rev. Brian Cole. The community to which I am going has just said farewell to The Rev. Jeffrey Queen, who served as their interim for two years. In the midst of all this change, I am reflecting on the wisdom St. Paul shared with the Corinthian Church regarding transitions in leadership. The Corinthian Christians were having difficulty adjusting to new leadership. In his first letter to them, St. Paul describes how transitions are a normal aspect of the life of Christians in community. His focus is upon the common purpose of building up the Church in its mission. I am not the Pastors who came before me. Nor am I the Pastors who come after me. God has gifted each of us in different ways according to the leadership God desires the Church to have in a particular place and time. Each of us brings something different to the communities we serve. Each one builds upon the work of those who came before, so the changes each one brings are not intended to dismantle things. Instead, the changes are related to the common purpose we share and are to be understood as additions or enhancements to what has been. Our common purpose is to help you be the Church in mission. It’s not about Fr. So and So or Fr. Such and Such. It’s not about me. It’s about God and God’s mission of reconciliation in the mission field at your doorstep. You have been very open to changes during the last eighteen months. However, change is difficult for many people. We don't like it when something upsets the equilibrium and pushes us out of our comfort zone. So we resist and complain. Resistance to change, while human, can undermine the true spiritual discernment that has led to this union of Pastor and People, thwarting God's purpose. Most complaining about change when a new Pastor arrives constitutes avoidance of the real work to which God is calling the faithful. Valuable spiritual energy is wasted in an activity that is useless to the cause of Christ! So, I urge you to embrace the changes that are coming your way as new ways for God to work through you and your community of faith. This time of transition is a unique opportunity for God to work wonders through divine interaction with the new relationships that are being formed. That is why departing clergy must step away. God is creating a new context in which to bring about growth. Trust God enough to invite your new Pastor and encourage one another to fully express the gifts God has given to help you be the Church. You will grow, the Church will grow, and the Kingdom of God will grow. Gay and I will continue to hold you and your new Rector and his family in our prayers. We will miss you, but we will rejoice as we watch from a distance as a new era of fruitful ministry unfolds. May God continue the good work God has begun in you! P.S. - Here is the diocesan leave taking policy, which the Senior Warden and I have signed. Mark uses miracle stories in his gospel to illustrate a point the way Matthew and Luke use parables for that purpose in theirs. Jesus’ cleansing of a leper as recorded in Mark 1:40-45 is an example. A man who was afflicted with leprosy confronted Jesus. The leper broke the code of ceremonial cleanliness just by speaking to Jesus. It was a very bold thing to do. Here is one who is considered unclean and wretched by his people because he has contracted a hideous disease. Leprosy represented sin to the people of Jesus’ day and, like sin, it was considered contagious, more to be cleansed than healed. A leper was banished from the community and had to dwell alone or with other lepers outside the community. This man had to go about with torn clothes, bared head, and a covering upon his upper lip. As he went, he was required to give warning of his polluted presence with the cry, “Unclean! Unclean!” The leper had not only to bear the physical pain of his disease, he had to bear the mental anguish and heartbreak of being completely banished from human society and totally shunned. So, it is incredible that he would approach Jesus at all, let alone dare to speak to him. Even more remarkable than that is the fact that Jesus responded to him as he did. He could have run away. He could have had the leper killed. He could have reacted with horror. But he didn’t. Instead, we are told in the story that his response was one of compassion and understanding. Jesus was “moved with pity.” He broke the code and defiled himself when he reached out and touched the leper. In so doing, his power over evil was demonstrated by a miraculous cure. He broke the law and, at the same time, he fulfilled it. Then he sent the man to the priest and in so doing placed before the religious establishment a difficult problem. Only the priest could certify the cure. To reject it would be to break the code. To accept it would be to acknowledge Jesus’ power and authority. To make matters even worse, this cleansed leper couldn’t keep all of this to himself, even though Jesus had asked him to. Is it any surprise? In this miracle story, we see that it was Jesus’ nature to be moved by the sight of human need. But sympathy isn’t worth a dime unless it leads to action. Jesus was first moved to pity, then to action. He continues to be moved to compassion and he still reaches out and touches those in need of help. People who have experienced this compassionate power find themselves moved. They become enthusiastic about life and they glorify God in whatever they do. I recently streamed the movie Bad News Bears. It had been years since the last time I watched it. There is a character in the movie named Lupus. Lupus is a little boy who had a runny nose all the time and was smaller than the others. He had learned to stay in the background because that’s where everyone else told him he belonged. One day, some boys on another team put ketchup in his hat and slapped it back on his head. One of his teammates took both of them on in defense of Lupus. He lost the fight, but afterwards, Lupus said to him, “You’re the first person who ever took up for me.” A short time later, the coach sent Lupus in to play during the championship game and he actually caught a fly ball. Nothing could ever stop Lupus again because someone finally believed in him. That gave him the courage to get out of the background and take his God-given place as a full-fledged member of the team. Like the story of the cleansing of the leper, the story of Lupus is a miracle story. It tells us what can happen on an infinitely greater plane when Jesus Christ touches a human life. His touch tells us that he believes in us and when we know that touch, we’ll never be the same. We’ll have a new perspective on life, a new confidence in ourselves, and a new ability to reach out to others, especially those who have been pushed into the background, marginalized, and condemned. Today is a good day to keep my eyes open to watch for a miracle. Today is a good day to experience a miracle for myself. Today is a good day to help a miracle happen for someone else. God, let me live today in miraculous expectation! P.S. That leper could have written this hymn! Maybe the fact that the tune is not as familiar to American ears will help you listen to the words a little more carefully. My wife, Gay, has become a quilter. Shortly after arriving in Kentucky, she became involved with a group of women in a ministry of the Church called “Cross Quilts.” They gather weekly in the home of a member and make quilts to give to veterans, homeless persons, and children who are Baptized at the Church of the Good Shepherd. Working together adds something to their mission. She told me about an experience she had recently while shopping for fabric for one of her quilts. As she was walking through the fabric store, a young woman stopped her and asked for help in selecting some ribbon for a project she was working on. Gay was intrigued that this complete stranger would ask for her opinion and curious to see where this encounter might lead. The young woman explained the project to Gay and they discussed the ways in which the ribbon would be used with different fabrics. At some point, she made her decision, thanked Gay, and took the ribbon to the cashier. What fascinated me about this story is the openness to collaboration between these two women, who had never met before and will probably never meet again. I’ve seen a lot of that since coming to Kentucky, such as the man I wrote about last week who helped me with my shopping cart. I’ve seen a spirit of collaboration in the churches, in the communities, in circles of friends, and among complete strangers. I don’t know if it is primarily a cultural phenomenon or if it’s in the water or the air we breathe here in the Bluegrass, but people here seem to value each other’s opinions and appreciate opportunities to work together toward some purpose. Perhaps that is why economists point out “entrepreneurial support” as an attractive economic feature of the Lexington area. Entrepreneurs know the wonder of collaboration in bringing together assets in new ways to develop new things. There are parallels with the Christian mission. From the beginning of Jesus’ ministry, he worked collaboratively with his disciples and others to open hearts and minds to the new thing God was bringing about. He was critical of those who were locked into one way of doing things and who resistant to the fresh wind of the Holy Spirit. But to those who were willing to enter into a trusting relationship with him and each other the way to abundant life. In her sermon today, during a celebration of The Holy Eucharist at Christ Church Cathedral here in Lexington, Dean Carol Wade told us that she has established commissions to explore various aspects of the Cathedral’s life and witness. I was fascinated to hear her say that one of those commissions is “The Entrepreneurs Commission.” She described their role as “discovering resources for the increase of ministries.” What a great concept! What an expression of a theology of abundance! God has provided all the resources we need to do what God is calling us to do. Our job is to open our eyes to see God’s hand at work around us to discover those resources and employ them in new ways in the service of the Gospel. At the top of the list of resources is people who share a love of Jesus Christ. Christianity has been a collaborative and entrepreneurial enterprise from the beginning. Despite tendencies of the culture to cast Christianity in terms of a private relationship between the believer and Jesus, authentic Christianity is always corporate and collaborative at the core. A good example is Matthew 18:19-20 where Jesus says, “Again, truly I tell you, if two of you agree on earth about anything you ask, it will be done for you by my Father in heaven. For where two or three are gathered in my name, I am there among them.” The Greek word for agree in this passage of scripture is συμφωνία, meaning "agreement or concord of sound", "concert of vocal or instrumental music", from σύμφωνος, "harmonious" (Oxford English Dictionary). It is also the origin of the word symphony. Is it any wonder that Christians sing when we gather? When we live and work collaboratively in Christ’s mission, we make beautiful music that expresses our life in Christ. On a cold, windy day last week, Gay and I drove to the supermarket to shop. Upon arrival at the parking lot, we discovered that lots of other people had the same idea and we had to park about as far away from the store’s entrance as one can park. When we returned to our, we loaded our purchases into the trunk and I started looking around for the nearest shopping cart return rack. It was halfway back to the store and I shivered when I thought about having to stay out in the cold wind any longer. I barely managed to say, “Thank you” before he was briskly pushing the cart toward the store entrance. From inside the car, I watched him return the cart to the rack and continue on toward the entrance in pursuit of whatever mission was on his mind. The memory of that simple, thoughtful, neighborly gesture has remained with me for more than a week. The subtle significance of that brief encounter between strangers continues to gladden my heart. In that moment, the Kingdom of God came near to both of us. Something changed in my universe and, perhaps, in his. I have no idea who he is or what motivated his good deed. I’d like to think it had something to do with his faith, but there is no way to know that. What I do know is that it had something to do with my faith. It is my faith that prompts me to see God’s hand at work in that moment in the lives of two of God’s children – one of us in need and the other with a meaningful response to that need. That empty cart was full of grace. It was an epiphany from a shopping cart. We often focus on big goals in mission and ministry: feeding the hungry, sheltering the homeless, rebuilding storm-ravaged communities, teaching at-risk children to read. But let us not neglect to do good in those smaller, simpler ways, such as offering to return someone’s shopping cart, share a heavy load, sending a smile to someone who has a frown, speaking a word of encouragement to someone who seems worried, letting someone know you are thinking about them. There must be thousands of opportunities to do those good works that God “has prepared for us to walk in” every day. May God open our eyes to see them and move our hands and feet to respond. For in the intersection of another’s need and our response, no matter how simple, the universe is changed. And because God is at the center of those intersections, the change is for the better. How can I recognize God's call? People often ask, "how can I recognize God's call to me?" It is a question of vocation. The word vocation is derived from the Latin root voca, as in "voice." It means "to call." There are so many voices crying out for our attention and our loyalty, it is difficult to discern the voice of God, and, therefore, to know what God is calling me to do. The question about recognizing God's call may have to do with one's overall life mission or with what God wants of one in a specific situation. Perhaps we can learn some things about recognition of God's call from Mark's account of the beginning of Jesus' Gallilean ministry. His baptism by John had been in Judea, a mostly Jewish region. After John imprisioned, Jesus went north to an area around the Sea of Galilee, which was inhabited by many gentiles as well as Jews. When he arrived there, his first order of business was to call disciples (e.g., Mark 1:14-20). There are several characteristics of vocation in that event, which is similar to other Biblical accounts where God's call comes to people and their communities. God's call is timely. Jesus begins his proclamation by saying, "The time is fulfilled." The kind of time he has in mind is kairos, not chronos. Chronolical time can be measured. Kairos, God's time, the right time, cannot be measured so precisely. It is the time when fruit is ripe or when a baby is ready to be born. While God's call may come to us in many ways, it always comes at the right time. Jesus was speaking of the time when the old age of rebellion against God would cease and a new age would begin. He came at right time in history. His call comes to you and me at the right time in our personal histories and in the history of our faith community. God's call involves change. Jesus called people to "repent." To repent means to change. Change usually involves turning away from the comfortable and familiar and toward something different. Jesus went to a region that was different. Remember that Galilee was place where there are many gentiles, people of a different race and faith. It still is! God's call can be a turning point in life of a person or a community of persons. What needs to be changed? If you hear a call to remain exactly as you are, it is probably not God calling. God's call is imperative. Jesus' words, "Repent, believe, follow" are not mere suggestions. The time for action is now and this is what needs to be done. I'm reminded of the story of a golfer whose ball landed atop an anthill. In his attempt to avoid being stung by ants, his stance was clumsy and with every swing he would miss the ball and hit the anthill, scattering hundreds of the tiny creatures. Eventually, one of the ants said to the others, "If we are going to survive, we'd better get on the ball." When God calls and we hear, it is time for us to get on the ball! God's call is specific. Throughout the gospels, Jesus is very clear about what he wants of his hearers: hear, repent, believe, follow, preach, teach, baptize, pray, go. The response may involve a person's entire life or a brief period. Following Hurricane Ike, we set up several ways for The Episcopal Church to respond to need. Our banners and signs had the Episcopal shield tilted at a jaunty angle and proclaiming, "The Episcopal Church - Here to Help!" The Diocese of Texas and Episcopal Relief and Development sent staff to the island where they set up headquarters and worked with hundreds of people from across the country who came to help for the next couple of years. Then, the time came when these specific measures were no longer needed. But for a brief period, people set about doing some very specific things to help people in need. God's call includes reassurance. God does not call people to do something which they can do on their own, always provides the means whereby the call can be fulfilled. "I will make you fishers of people." Prophets, priests, apostles, martyrs. God's call is consistent. We believe in Christian counsel. That means we explore our vocations together so that we can be sure that the voice we hear is God's. God is not likely to call one of us or all of us to do something which is contradictory with God's purposes and ways as revealed in scripture, tradition, reason, and experience. We allow ourselves to be held accountable by our Christian sisters and brothers as we discern God's will. God's call is persistent. In Mark's account, Jesus says, "The time is fulfilled." Matthew's account (Matthew 4:18-24) suggests that when Jesus went to Galilee, he fulfilled the place. We are reminded of the prophecy of Isaiah (Isaiah 9:1-7) Hundreds of years had passed. God's Messiah had finally arrived to bring light to those who sat in darkness, people who lived in and around "The Decapolis." The Decapolis was a region of ten gentile cities to the east of the Sea of Galilee. The Jews referred to them as "The Gates of Hell." When Jesus said that the gates of Hell would not prevail against the Church, he may have been alluding to the Decapolis. We are told that in less than 100 years after the Resurrection, those ten cities were Christian cities. Persistence paid off! Keep listening. And, when the call comes, recognize it, receive it as gift, and let God's grace motivate you to drop everything and go! We’re hosting the monthly gathering of Episcopal clergy tomorrow at The Church of the Good Shepherd. We meet at lunchtime and our meal is handled in different ways: sometimes we bring a brown bag, sometimes something is ordered from a sandwich or pizza shop that delivers, and sometimes the host church prepares the food. I was about to order a sandwich platter when I realized that today is a holiday and I wanted to spend some time in the kitchen. I might as well prepare something for the gathering with colleagues. But what? We’re kind of a cozy group so some kind of cozy, comfort food might be in order, especially something that would be good for a cold winter day. The first thing that came to my mind was Jerry's Tortellini Soup. There’s a story behind that. About this time in 1987, I came down with a horrible case of the flu. Gay confined me to the house and that is where I stayed for a week. Toward the end of that week, when my fever had broken, I was improving but was weak, bored, and had absolutely no appetite. Our friend, Jerry Jones (the REAL Jerry Jones, not the owner of that Dallas football team) called to say he’d be dropping by with a pot of soup. I was grateful but unsure what kind of soup would restore my faith in my poor, dead taste buds. Jerry arrived and delivered the soup to the kitchen stove. On his way out of the house, he said in his finest United States Marine tone of voice, “This is tortellini soup. Heat it up, eat it, and you’ll be on your feet in no time. I left the recipe.” With that, he was out the door and headed off on the next mission of mercy. Semper Fi! I followed Jerry’s instructions, heated up the soup, sat down at the table, and put a spoonful in my mouth. Instantly, my dead taste buds were restored to life! It was the first time in a week I had tasted anything. The flavor was amazing and I don’t think I’ve ever had any kind of “comfort food” that can equal that bowl of soup. It was an epiphany for me. I cherish that recipe. The soup and the act of kindness that brought it to me did indeed have me on my feet in no time. And the flavor of both has remained with me all these years. I love Jerry’s Tortellini Soup! Whenever I prepare this soup, the memory his gift is rekindled in me. I always hope that anyone who tastes it will detect the subtle flavor of the primary ingredients in Jerry's unwritten recipe – generosity, friendship, compassion, kindness, and love. Those are the ingredients that make Jerry’s Tortellini Soup such a healing concoction. I love to share it with others and always do so in the spirit of Jerry, one of the world’s finest examples of a faithful friend and brother in Christ. Semper Fi, Jerry! P.S. I have developed a vegetarian version of this soup, which will be available tomorrow. The meat is omitted, but not the primary ingredients!